In this section introduce you to some of the most beautiful beaches in Panama, we show you the places where you find small hidden and solitary beaches as well as the popular beaches where you find acomodations and facilities ranging from small restaurants to all inclusive beach resorts. 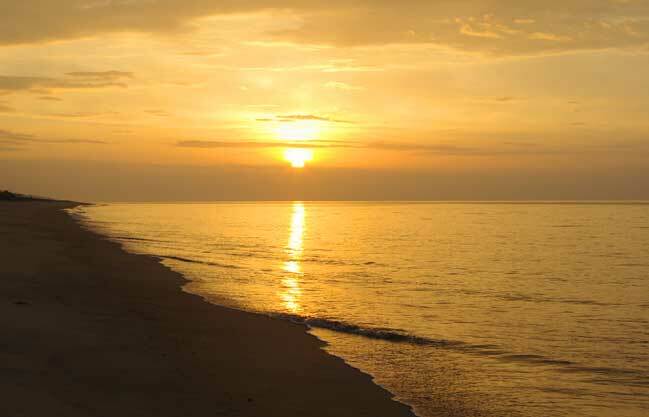 Now the beaches mentioned here are just a sample of whats out there and we invite you to discover some more hidden gems! Please Click on the map to get a view of the full sized image. 1. Panamas Riviera, the Pacific Coast from Punta Chame, including Gorgona, Coronado, Santa Clara and Juan Hombron. 2. Some Beaches in Azuero, including Isla Iguana, Playita Resort, Playa Venado and Guanico. 3. Some Beaches in Southern Veraguas, including Torio, Mariato, Isla Cebaco, Santa Catalina, Pixvae and Isla Coiba. 4. A Few Beaches to mention in Chiriqui like Las Lajas, Boca Brava and La Barqueta. 5. Bocas del Toro and the beautiful Isla Bastimentos. 6. 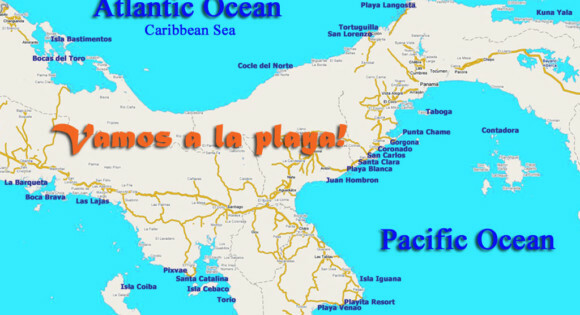 Colon and Cocle del Norte including Isla Grande, Playa Langosta, Playa Tortuguilla, San Lorenzo. 7. Taboga and Contadora Islands. 8. Kuna Yala formerly known as San Blas. 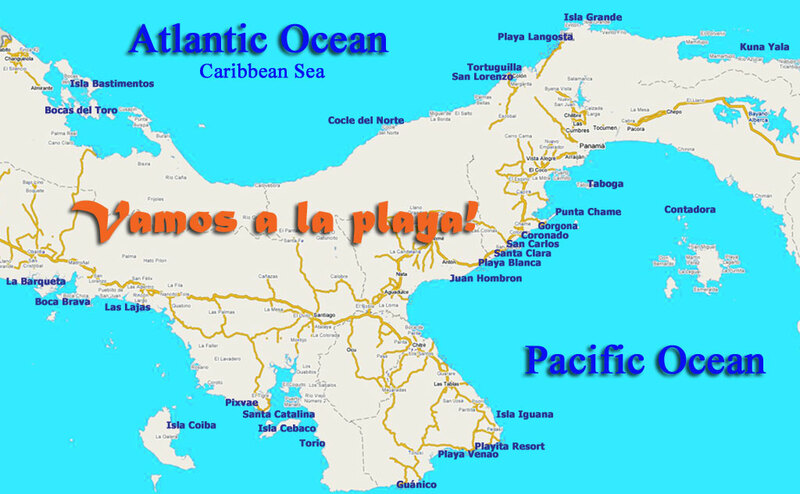 Next here you find the surf forecast for Panamas Coasts and here the Tide forecast for the Pacific and the Caribbean Coasts.